During the development of New Super Mario Bros. 2, Nintendo did something it had never done before: it invited employees from other areas of the company, who don't normally make Mario games for a living, to come and learn how to make Mario games for a living. It was informally dubbed the "Mario Cram School", and came about because of Nintendo legend Takashi Tezuka's belief that the most important thing in a Mario game was the design of the level's "course", so much so that he wanted "to spread that knowledge across others within the company". It sounds like it worked. 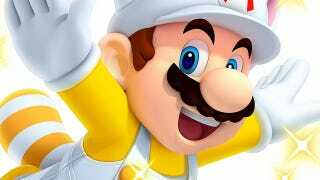 The game's director, Yusuke Amano, says "I had the opportunity to try out a course made in the Mario Cram School that was worked on by about twice the number of staff it usually takes to make Mario courses. A lot of the courses were a blast to play and showed a lot of new ways to play, I really felt we were on to something." "Looking at it from that perspective, I thought the concept of the Mario Cram School was amazing." No word on what the punishment was if you were late or didn't do your homework, but given Tezuka's involvement, something involving playing Animal Crossing until your eyes fell out sounds about right.